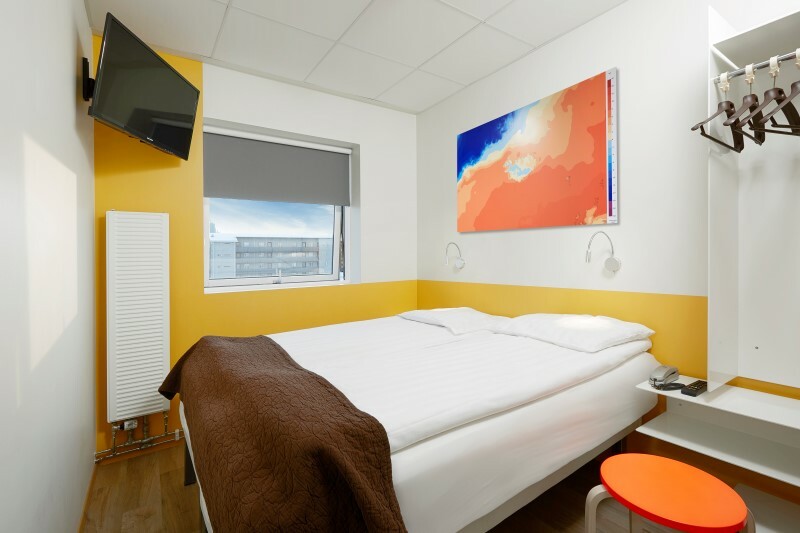 Hotel Cabin opened in May 1997 and was completely renovated at the beginning of 2007, Hotel Cabin prides itself on offering guests warm and friendly hospitality and a high level of comfort at affordable prices. 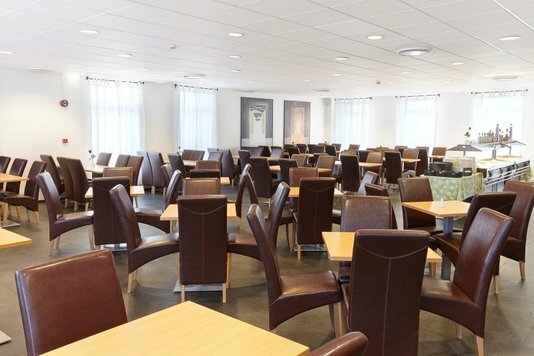 This large budget hotel is bright and comfortable and is located within easy reach of Reykjavík’s city centre, with its vibrant nightlife and excellent choice of restaurants. 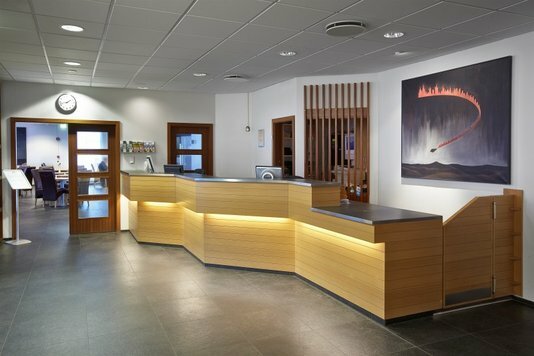 The hotel is an easy five-minute walk from the city’s main park, swimming pool and outdoor recreation area. 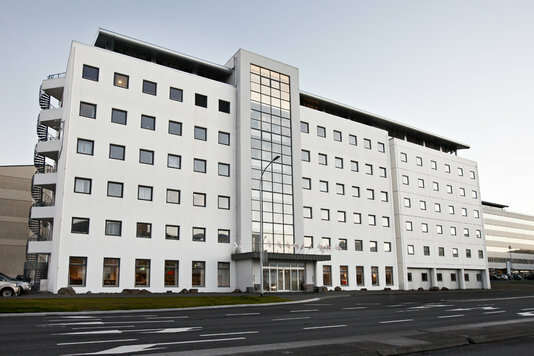 Situated in the area of Borgartún, the heart of the business district in Reykjavík there are beautiful view over the bay and mountains and 600m from the hotel is Höfði house. an old house owned by Reykjavík city which is best known for housing the Reykjavík summit in 1986 where Ronald Reagan and Mikhael Gorbatsjev met to discuss ending the cold war. 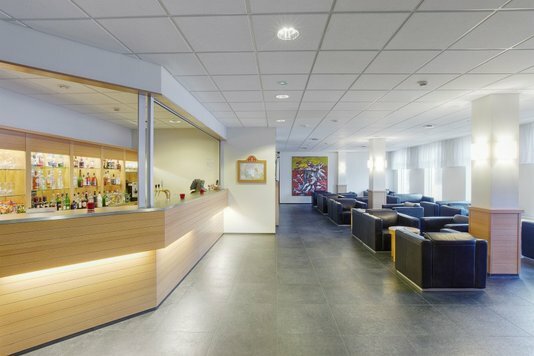 The hotel offers three types of rooms, standard rooms are small but clean and comfortable with a private bathroom with shower, deluxe rooms are bigger and the bathroom have a bathtub and shower and superior rooms which are situated on the 7th floor and offer magnificent views of the city or bay and have a free internet connection, a fridge and coffee-maker. All rooms have satellite TV and a telephone. 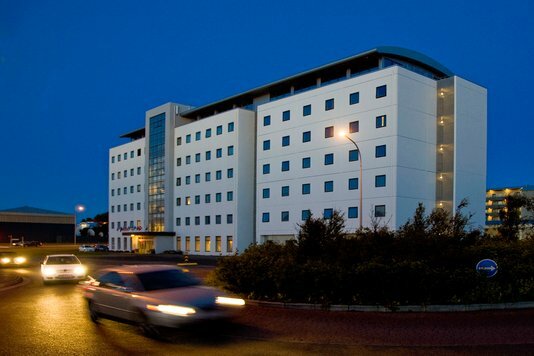 23 rooms have windows facing the corridor and these are popular in the summer months with the long daylight hours.